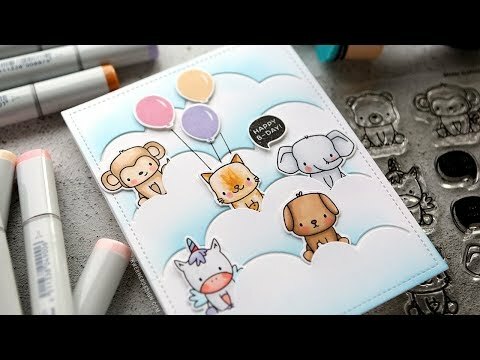 Coloring images from Mama Elephant’s Stackable Cuties stamp set and creating a birthday card. Hi all! Today I wanted to create a birthday card for a friend using the new Stackable Cutie stamp set (and coordinating dies) from Mama Elephant. I also thought the Cloud Day Cover die would be the perfect background!